One hundred and fifty farmers who are members of the Devon Farms group gathered at Bicton College near Newton Poppleford today to raise their glasses to the 25 years they have been in operation. Lectures on Dog trialling by David Kennard, flowering arranging, felting and spinning demonstrations had visitors totally involved. 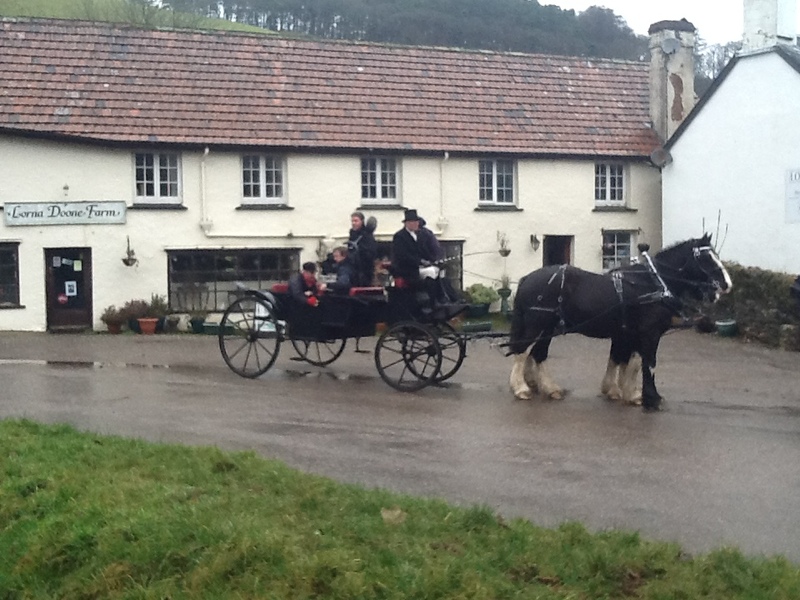 Outside the college visitors also enjoyed Shire Horse drawn cart rides around the lake. Many other members brought and showed a wide range of products made on their farms to demonstrate how different farms have diversified. The weather was superb, the atmosphere light and jolly, altogether a brilliant day. Can you imagine the farmhouse spread at lunchtime? Mmmmm. Thank you to the Devon Farms committee led by Jackie Milsom of Little Comfort Farm, Braunton and Martin Ryall from Hollacombe Farm near Combe Martin who coordinated the whole day’s activities, lunches and stands. See next blog for a photo of the day. Rightly famous for its scenic wonder, the North Devon coast and rolling farmlands were a target of holidaymakers before cars because railways were the main route to such holiday delights. True the railways aren’t what they were but there are still many scenic miles to enchant the traveller. Most of the North Devon Farm Holiday Group bed and breakfasts & self catering accommodation are either situated on or near to some of the wonderful walking trails in North Devon and Exmoor. For example, Huxtable Farm B&B, near West Buckland http://www.huxtablefarm.co.uk/walkingandcycling is situated on the Tarka Trail and Macmillan Way, just the right distance from Barnstaple or Simonsbath for a days walk. Luggage transfer, packed lunches, flask top ups, drying facilities & Radox for a relaxing bath can all be provided so that you enjoy a memorable walk. 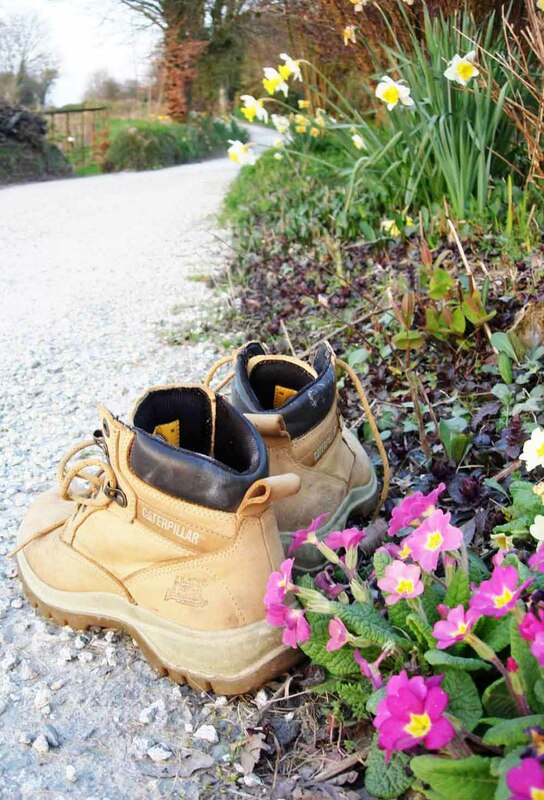 Many of the North Devon Farm Holiday Group accommodation providers also have their own walk trails around their farmland, through hidden wooded valleys, lined with wild flowers, off the beaten track. The English Sheepdog trial returns to North Devon on 19th, 20th and 21st of July 2013 at Castle Hill in Filleigh home of the Earl and Countess of Arran. 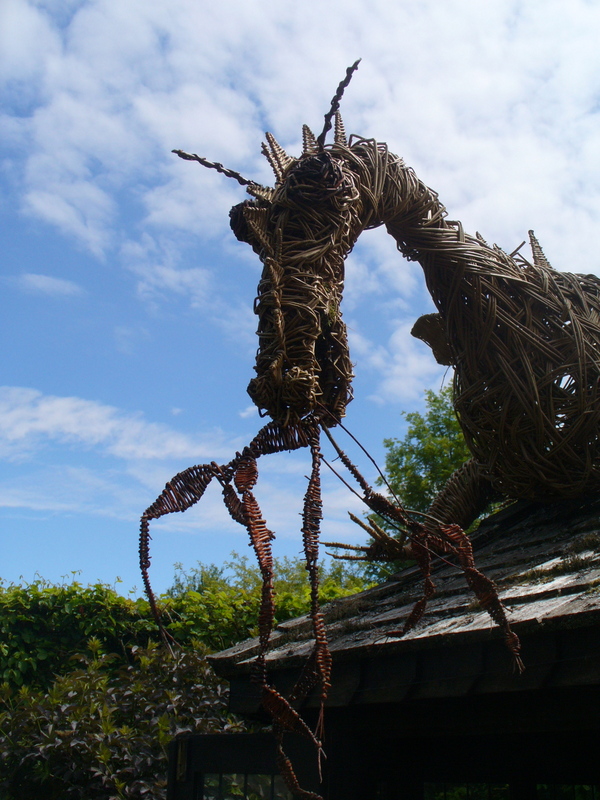 The success of the 2009 event has made a lasting impact in North Devon. The three day event will draw several thousand visitors as well as the competitors and their talented dogs. Mole Vally Farmers, suppliers to the north devon farming community are sponsors of the 2013 trials. Across the 3 day event are Sheepdog trials, loads of entertainment and a large Country Fayre with good local food. The Devon Farms accommodation group of B&Bs and Self-Catering cottages are favoured as the main accommodation providers for this event. Not only are these great places to stay as they always offer something special to visitors but they can also provide bags of space for the trial dogs to exercise. South Molton farms near Filleigh are ready to help. Providing memorable stays are: Townhouse Barton, a 15th century farmhouse for B&B or offer a self catering cottage see: www.townhousebarton.co.uk or nearby West Down Farm who welcome dogs see: www.westdown-devon.co.uk . Awarded Gold for an outstanding breakfast and mentioned in the Doomsday book is Kerscott Farm see: www.devon-bandb.co.uk also near the event is North Lee Holiday Cottages who offer short breaks in their 5 cottages on this dairy farm and who also welcome dogs. See www.northlee.com Another Gold Award accommodation is a 300 acre family run farm with 3 cottages fitted to high standard and have dogs to stay is Drewstone Farm see: www.devonself-catering.co.uk Make a note in your new 2013 diary and book ahead.